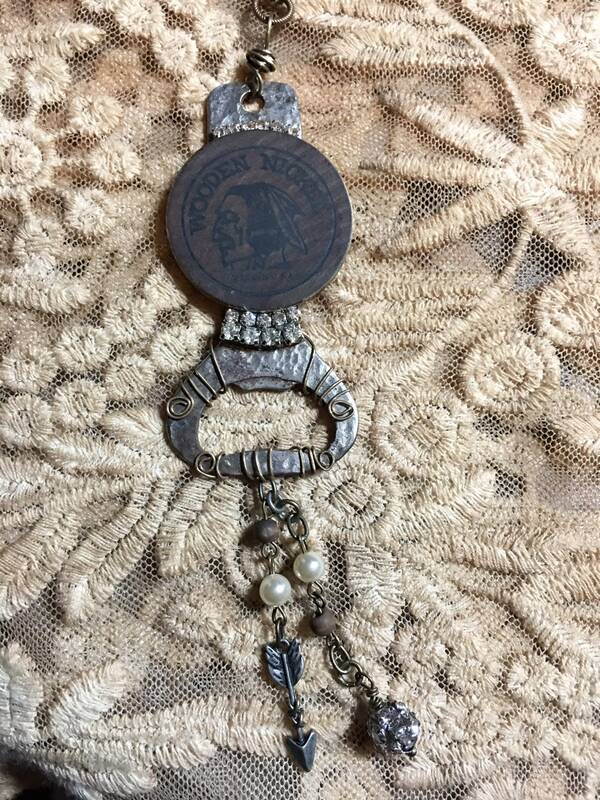 Upcycled Vintage Bottle Opener, Wooden Nickle, Black and wooden beading, OOAK, one of a kind, unique necklace, assemblage necklace. 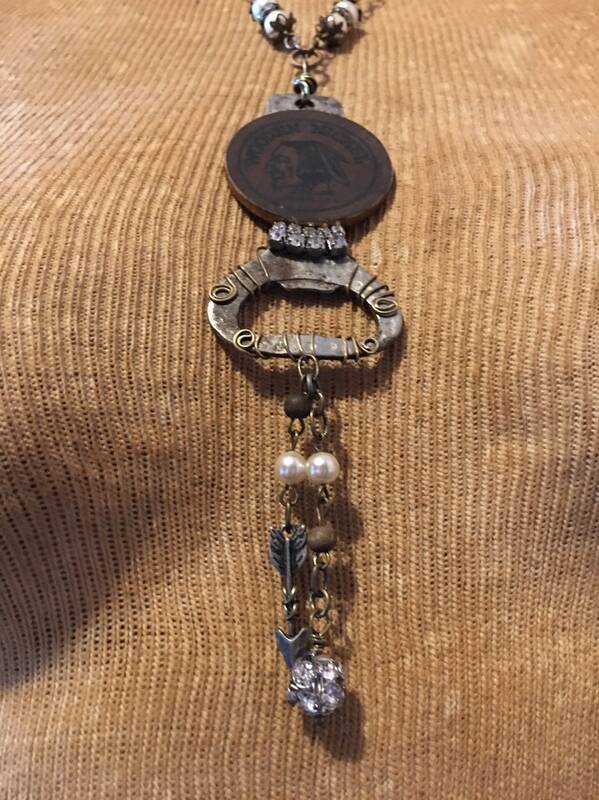 I am thrilled to share this one of a kind assemblage necklace that I have created using a vintage bottle opener a genuine wooden nickel as focal point. 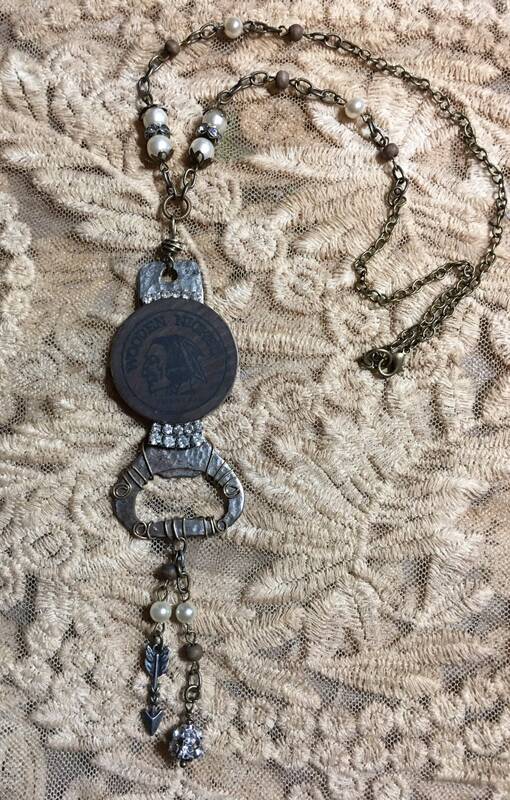 This repurposed original design includes vintage rhinestones from broken necklace and has wooden beads and glass faux pearls worked into the antique brass colored chain as well as an arrow charm and matching dangling wooden beads and faux glass pearls hanging down from the bottom of bottle opener. Hand wire work throughout this piece. It features a lobster style closure with a long 30”chain. 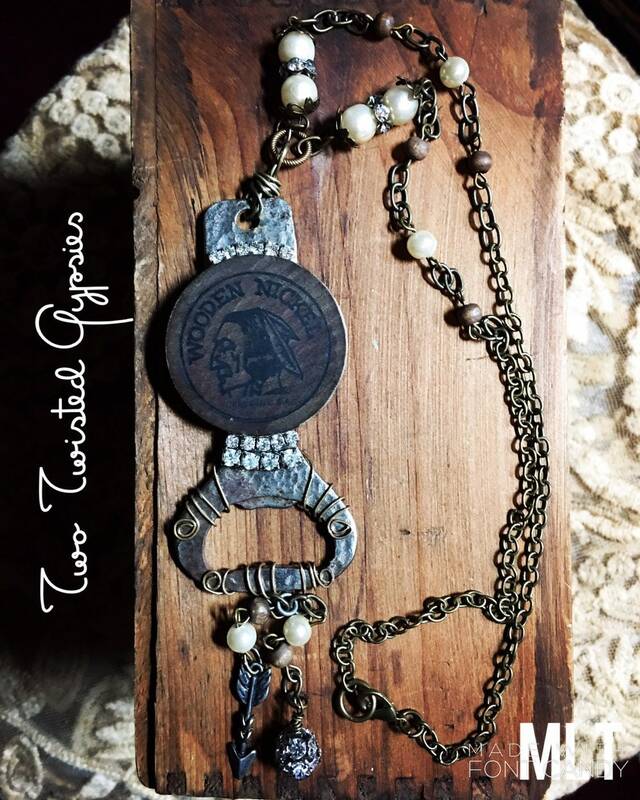 This necklace would make a great gift and is a conversation starter. 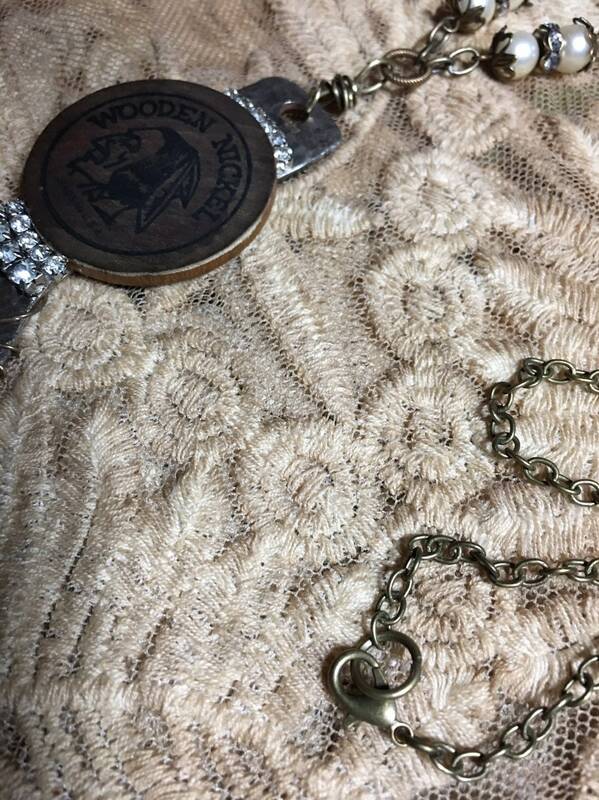 Please message me prior to check out with questions or special request. Ships USPS first class in 1-2 business days.